New IPad Minis at St James! Recently, the St James the Apostle School technology department purchased 42 new IPad Minis, to go with the existing 14 IPad Minis at our school. These new IPad Minis will be used as a learning tool for use by our kindergarten through fourth grade students. 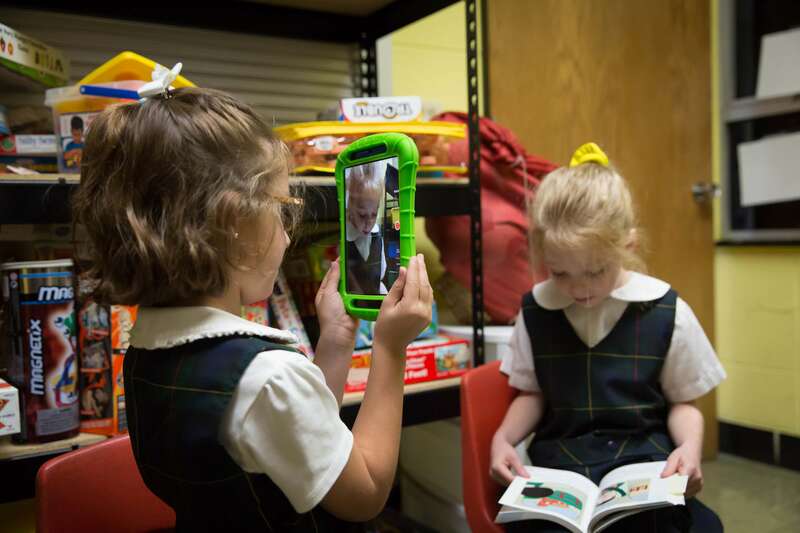 As part of our goal to integrate technology into our curriculum, the IPad Minis will introduce our early childhood and primary grades to the wonders of technology in the classroom.